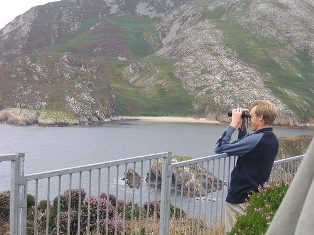 There are some great places for whale watching in Ireland. Most of it is happening along the country's west coast, where large whales such as fin whales are passing by seasonally. Orca Killer Whales, and many different types of dolphins, are seen year around. You can watch the whales from coastal whale watching points, or you can join a tour. The industry is relatively new in the country, and truth to be told, the sightings can be rare at times.